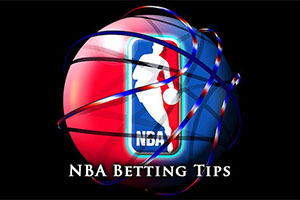 Spread Pick: New York with handicap -9 at 1.76 Over/Under: Under 198.5 1.90 Bet Now! One thing you can say about the 76ers is that they are consistent. The team has a 0-12 record so far, and 6 of these losses have come at home and the remaining 6 have come on the road. 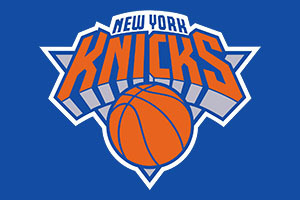 It is not as if the Knicks have been showing excellent form so far, they hold a record of3-10, with a 2-5 record in New York, but at least the Knicks have shown that they can win a game this season, something which the 76ers haven’t shown yet. Will Saturday in New York be another horror show for Philadelphia or will the number 13 finally be unlucky for their opponents? Clearly the form guide for the 76ers is 0-5 in their five games while the Knicks are standing at the marginally better 1-5, so there isn’t a lot to point you in the direction of a winner but given that both teams can’t lose, there will have to be a winner somehow in New York. Carmelo Anthony has been the shining light for the Knicks this campaign but he sat out the entire fourth quarter of the loss on Wednesday night to Minnesota. Anthony grabbed 2 points in just 27 minutes in that game but he is playing with a knee injury and is being looked at constantly by the team. The 76ers may be able to give Jose Calderon a debut in this game, and the veteran could provide the boost that the team has been looking for. With respect to history between these two teams, the Knicks have 10 from the last 13. If you can say that something is going in favour of the 76ers, it is the fact that they have fewer injuries to contend with than the Knicks. This may not seem like the biggest bonus in the world but when you are as down on your luck as the 76ers are, you will take anything that you can get your hands on! Jerami Grant is believed to be out for this match but the Knicks have a lengthy list of players being classed as out and others being considered on a day to day basis. Andrea Bargani, Jose Calderon and Cleanthony Early are all expected to be out while Quincy Acy, Carmelo Anthony and Iman Shumpert are all being monitored to determine if they can make the game. This is clearly a big blow but you would think that some of these players will be pressed into action at some point by the Knicks. There is a lot to weigh up with respect to this game but with odds of 1.76 for the New York Knicks at -9, you have to think that this is the sensible bet for Saturday. If you are looking to place a bet on the Over/Under market, the Under 198.5 at 1.90 is something that should grab your attention. Bet Now!